I received QuickMax Eyelash growth enhancing serum around Two weeks ago, to be honest I didn't even know products like this existed or I haven't noticed them around, but I do use mascara almost all the time my top lashes I would say are in a reasonable condition my bottom lashes well there don't seem to be many of them, I don't actually think there has ever been many eyelashes at the bottom which really annoys me as there is nothing to put mascara on. So I was hoping this product would help either to make them grow or just making the whole lot that little bit thicker and longer. 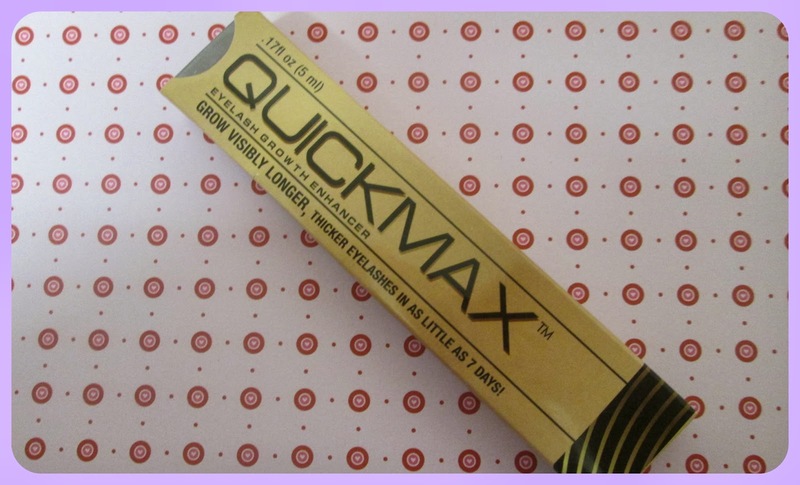 QuickMax contains a patented combination of ingredients that claim to rejuvenate the growth cycle of your lashes. It also helps to build up the tissue that anchors your lashes, so the tissue retains the lashes longer and gives them more time to grow. The ingredients in QuickMax include an advanced hair-growth enzyme, plus a natural hair-follicle stimulant to make the enzyme work faster. The formula also contains hyaluronic acid which helps to stimulate new hair growth. 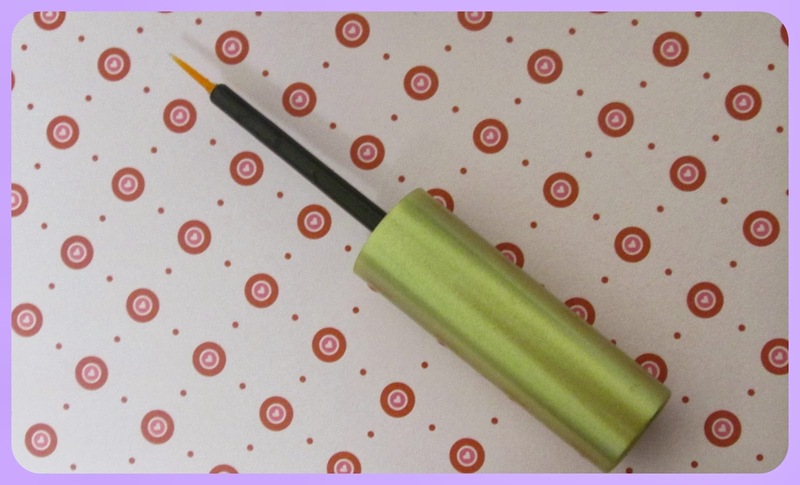 I have been using this product on my eyelashes for fourteen to sixteen days now, the product is really simple to use you simply run the brush along the base of the lashes, almost like a liquid eyeliner only you leave it on for a while then wash it off later, I usually applied this at night time then washed it off first thing in the morning - I was a bit nervous about using the product at first as my eyes are quite sensitive and I have to be careful about any products I put on them, as some tend to cause irritation I have to say I was pleasantly surprised, as this product didn't cause any irritation at all. After using this product for over two weeks I have to say I haven't noticed any significant difference in my eyelashes, I am however going to continue using this product as it has some fabulous reviews on the stylux website, which is suggestive that after using it a while it may have some benefits, you could also use this product on your eyebrows. 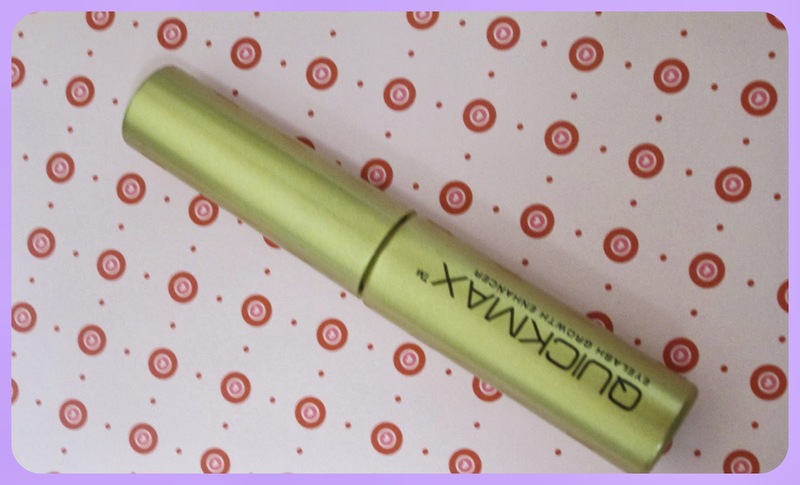 The QuickMax Eyelash enhancing serum is priced at £24.99 and is available to purchase from the StyleLux website. Any update to this post ? I have just ordered 2 of these. The 1st one i opened was empty... eyeliner brush bone dry so unable to use. I was unwilling to break the seal on the 2nd in case it was the same. I emailed the company who did offer a refund ....as long as i pay the return postage! I would obviously need to send it special delivery...and to Denmark that wont be cheap! Im reporting them to trading standards. Trust pilots have all scam reviews on this serum too. Do not buy. 5hey are a huge scam. Police know and so does the european consumer office. I got not one but two empty boxes!!! Is this some kind of sick joke??!! All i got was a bill for $94.85 yeah ok like i am going to pay that for no flippin product!!! Seriously pissed off!!!!! I had exactly the same situation. I looked at the website , put in my details as I could see the price so I hoped that after entering my name I'll be taken to next page but when I was asked to put in credit card details I closed the website and I thought nothing of it any more. Got email that I choose and option to deliver the product first and pay later which I did not. Then I ignored the email saying that the product was dispatched until I received reminder that If I don't pay the bill their lawyers will look into it. I'd like to add that I DIDN'T even received their product. !!! I paid as I was afraid I'll end up paying big fines. I told them same and in the return email they just said Thank you for you payment. really ? At Shiela.... they did the same thing to me. They told me I should pay. Luckily me I did not receive any product. So I sent email to explain I did not order anything. I called them SCAMMERS. After 3 emails response from them,I told them I will go public if they continue to threating my life. Finally, they send me a form to fill out that I did not receive any product. I returned it and they email back that I don't own them. Found out that it was my old address from 3yrs ago they sent the product to. I told them it's stupid of them sending a product I have not paid for ONLINE...SERIOUSLY. In this century you pay for everything online before it's shipped and/or with money back guarantee. They are THIEVES. It happens to me too!! I'm so concert they send me a letter where it says I own them 65 dlls! I do not order or received any! You know what can I do? If so thank you so much! that's what happend to me I haven't received my product yet but apparently it has bein shipped to nz wea I'm from I ddnt even finish filling out I ddnt even have my full name so I don't no what this company is Goin to do they should get people to pay b4 shipping the products .. it's defently not good for us off they get lawyers involved I defently don't want that .I even told them I ddnt want it they told me sory we carnt do enything only that when u recive the product back an they will go from their what the hell I ddnt even finish filling out .but oh well iff the product is good it could b a deferment story . I recieved this product today. I have not paid for it or have I given any payment details. Do they actually get lawyers involved cause the same thing happened to me and I refuse to pay! I looked at product and the only way you can find out how much it is, you have to put in your name and address. I did that, but decided I didn't want product, so logged out of site and forgot all about it. Then a package arrives in the mail. I hadn't ordered anything online, so, opened it to see what it was. It was lash grower from Lux. I immediately sent it back having first messaged them telling them I didn't order their stuff. They tried to stop me sending it back saying, it was completely my responsibility for the package contents to reach them and they wouldn't pay for the return postage. I sent it ''return to sender''. Then blocked them on my email. I have got a couple of letters from them threatening me with debt collectors and each time the amount owing has increased. I have no intention of paying them anything. My legal advice states, anything delivered to you without you ordering it, is deemed a free sample and to ignore any future threatening correspondence.They are scammers. They trick you into giving your name and address, then proceed to harass you for payment of a product you never ordered. I just received a package in the mail today and i got the SAME thing. I also did the same as you did I exited the website and I didnt buy anything and it showed up at my door. I emailed them stating I was not impressed at all and i wasnt paying for it nor was i paying the return postage. I also said if they didnt send me the package to return it in it was on their end and wasnt my problem anymore because they didnt have permission to use my address to send me something I did not order. I have yet to hear back from them. What else should I do? The same thing happened to me today, I got it in the mail and i only looked at the website for the price. I emailed them and explained i was not impressed and i wasnt paying for it nor the return postage and they didnt have my permission to send me anything with my address that i didnt order. I also mentioned if they didnt send me something the return it in it wasnt my problem anymore and i wasnt paying for it. wow- i just checked the stuff out and thought about buying it- but before it got into my pay pal- i exited the site. i checked and nothing was charged on paypal. but my mailing address was in before i exited their site. I just received 2 packages of quickmax and yes, I did not finish the payment details since I decided not to buy it. If I just ignore it, what would happen? and they close the invoice they sent to me. Don't be scared just prove to them that you didn't order anything. This is amazing, the same happened to me didn't finish my order and they just sent it to me, now they are saying I owe them money for something that I did Not even order, how is this company even in business still they are ripping off so many women!!!! Same happen to me can anybody tell how to solve it?please help me..i didnt order it also..im just click in for review and dont have idea to order.but today suddenly i received the parcel.im was shock because i didnt order anitin from them. If you did not complete your order, then you did not enter into a legally binding contract. They do not have a legal leg to stand on & if they are stupid enough to send the product to your address before you even paid for it, then that's their tough luck. You don't have to pay for it or return it. If you receive threatening emails or letters, ignore them. They are not going to go to the expense of involving lawyers for a product under $100, believe me. They hope that their sales tactics will compel you into paying for a product you didn't order. Don't respond to any emails from them. They are crooks. I can't tell you how happy I feel today as my long pending divorce case is resolved by Lydia. Finally got freedom in life.